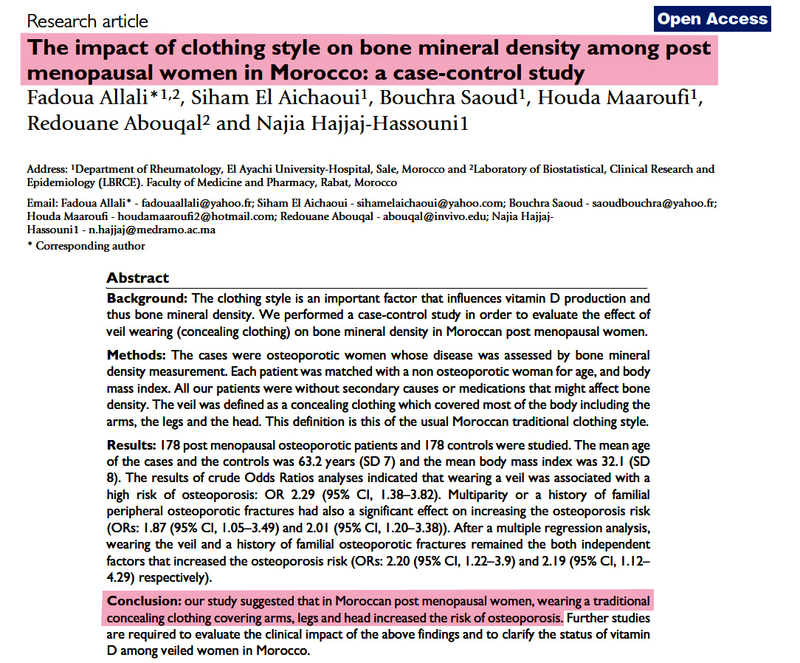 Hijab and Vitamin D Deficiency? 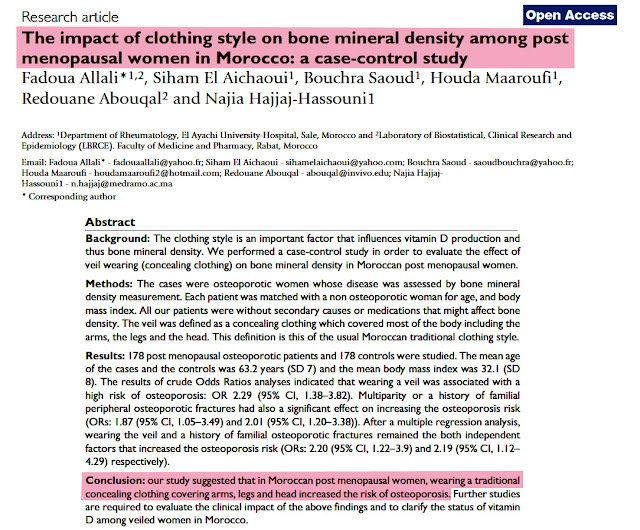 Have you ever heard or read about the relationship between hijab and vitamin D deficiency? Haven't yet? 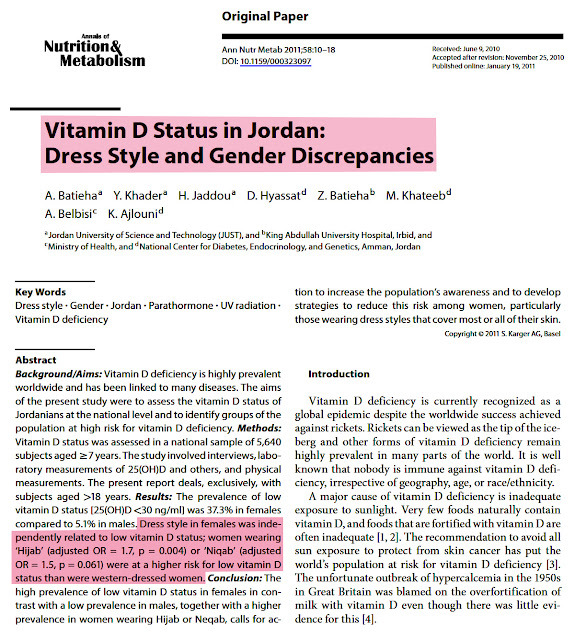 Here are some journal/research article about vitamin D deficiency in Muslim women who wear hijab..
What is the important roles of vitamin D? Vitamin D is a fat-soluble vitamin that is naturally present in very few foods, added to others, and available as a dietary supplement. It is also produced endogenously when ultraviolet rays from sunlight strike the skin and trigger vitamin D synthesis. 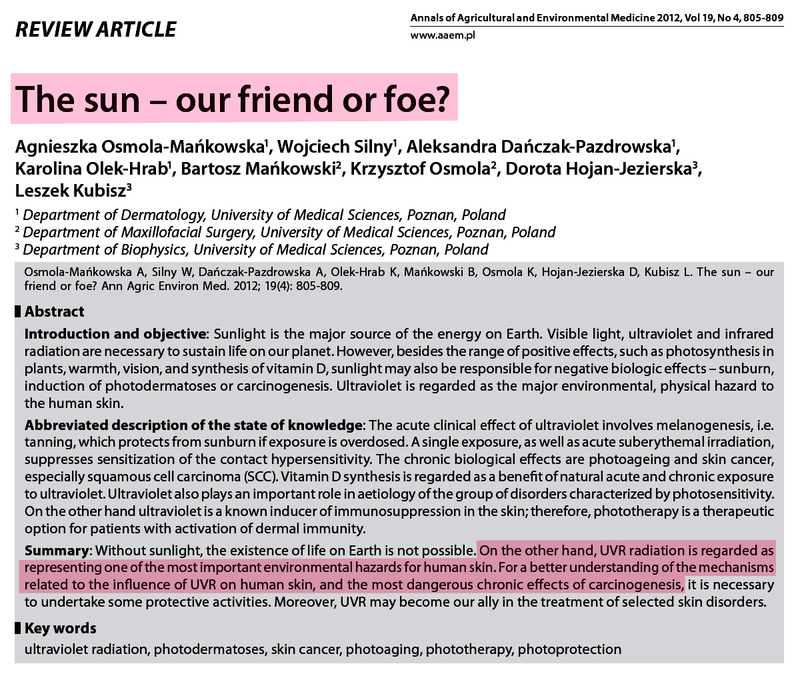 Vitamin D obtained from sun exposure, food, and supplements. 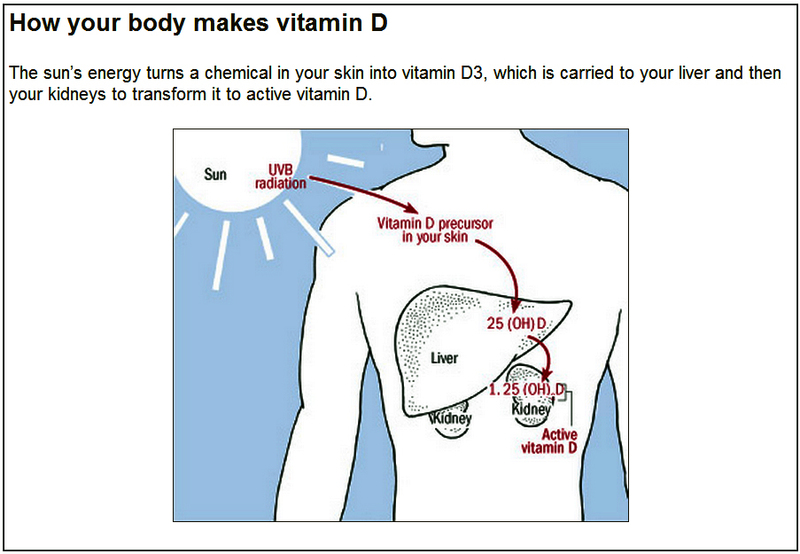 The major biologic function of vitamin D is to maintain normal blood levels of calcium and phosphorus. Vitamin D aids in the absorption of calcium, helping to form and maintain strong bones. It is used, alone or in combination with calcium, to increase bone mineral density and decrease fractures. Vitamin D has other roles in the body, including modulation of cell growth, neuromuscular and immune function, and reduction of inflammation. What is the relationship between sunlight and vitamin D? 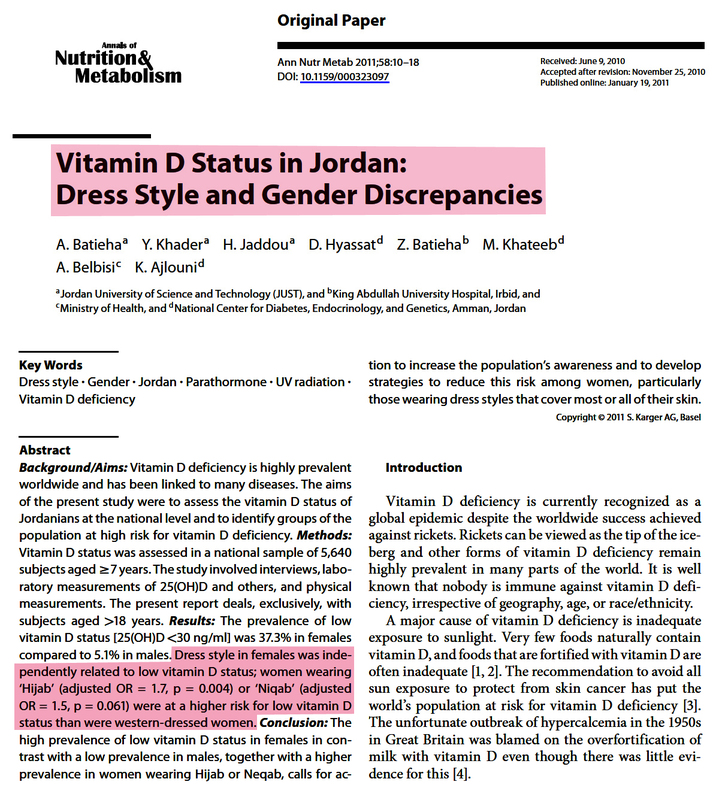 Here's an illustration about how the body makes vitamin D from the sunlight..
And then, what is the relationship between hijab and vitamin D deficiency? There are some videos about hijab and vitamin D deficiency.. So, how to get enough vitamin D? Drink milk and other low-fat dairy products. Consume foods high in vitamin D including cheese, butter, egg yolk, margarine, yogurt, etc. Eat salmon or other fatty fish as a good vitamin D source. If you don't like to eat fish, a fish oil supplement can help increase your vitamin D intake. Take a daily multi vitamin with at least 600 units of Vitamin D or buy a vitamin D tablet. One of the best ways to get Vitamin D is from sunlight. A safe amount is 10-15 minutes which will get your body to produce Vitamin D without being a hazard to your skin health. For Muslim women who wear hijab, can get the sunlight at the private backyard without wearing hijab. If this is not possible, go out and have a walk or do some exercise under the sun. I believe that all of Allah's creation will be good for us if used well, but can be bad for us when used in excess. Because Allah likes not those who commit excess, as in Q.S. Al-A'raf: 31. 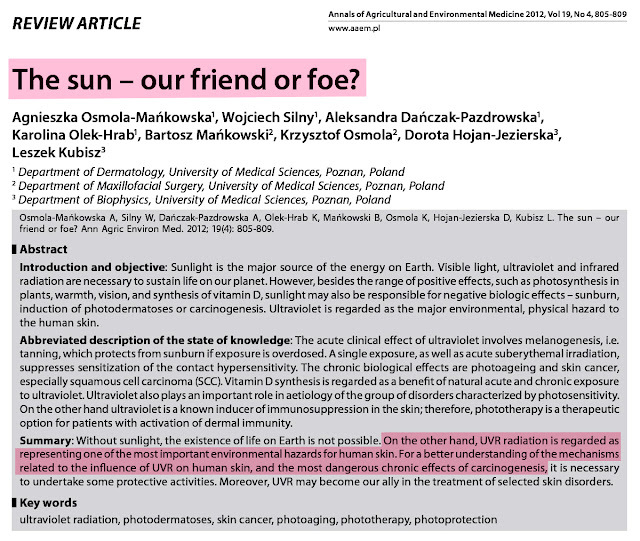 Similarly, the absence of sunlight in this world, which will be beneficial for our body if used in sufficient exposure (for vitamin D formation) and can be a hazard if used in over exposure (risk of skin cancer). I also believe that all the commands from Allah are for our good and Allah could not command something that could harm us. It's similarly on Allah's command for Muslim women to wear hijab. Allah gave the command to wear hijab in order to protect Muslim women, as well as an obligation and a form of obedience to Allah. Because hijab is covering our private parts and as the clothing of the righteousness that the best for us, as in Q.S. Al-A'raf: 26. Hope this sharing can be useful for us.. See you on the next post!